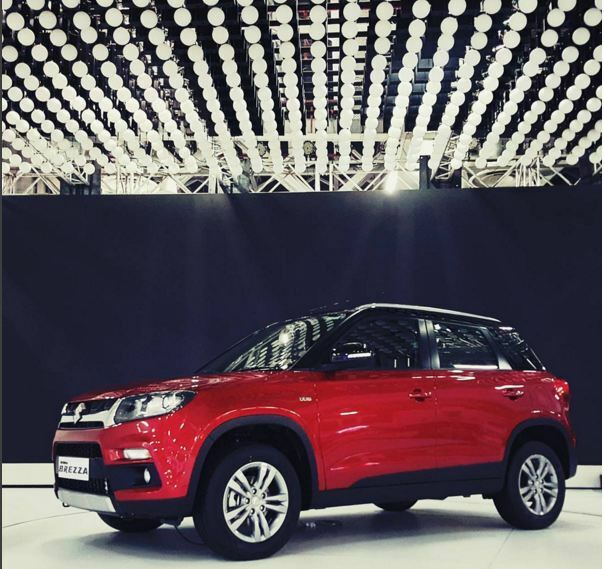 India’s largest car maker Maruti Suzuki unveiled their compact SUV Vitara Brezza at the Auto Expo 2016. The compact SUV will rival the already established Ford Ecosport and Mahindra TUV300 in the Indian market. 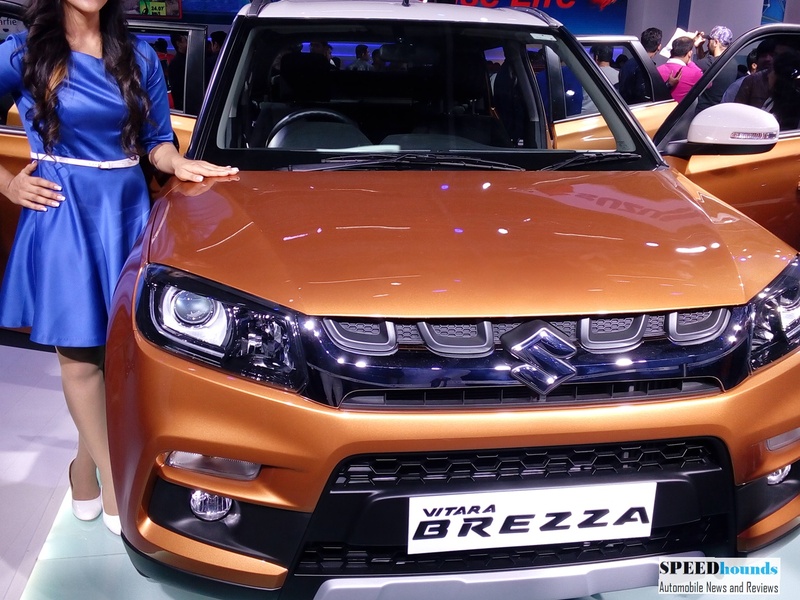 “I am proud to introduce the brand new Vitara Brezza. It is developed under a new unique process to design with a special focus on the taste and values of Indian customers,” Toshihiro Suzuki, President and COO of Suzuki Motor Corp said. 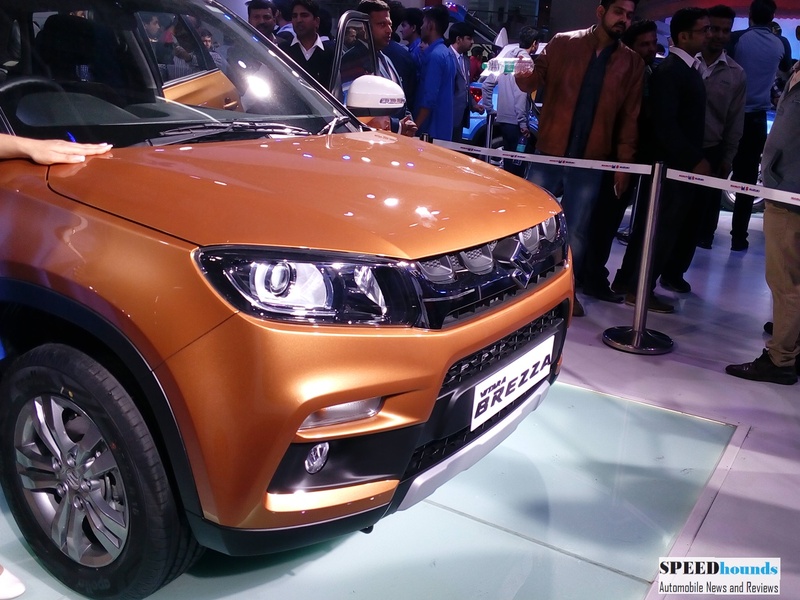 Vitara Brezza is the first Maruti product to have been completely developed by Maruti in India. Brezza measures 3995 mm in length, 1,790 mm in width, 1,640 mm in height with a 2,500 mm wheelbase. The compact SUV has a boot of 328 litres, 198 mm ground clearance wrapped with 16 inch allow wheels with 215/60 profile tyres. 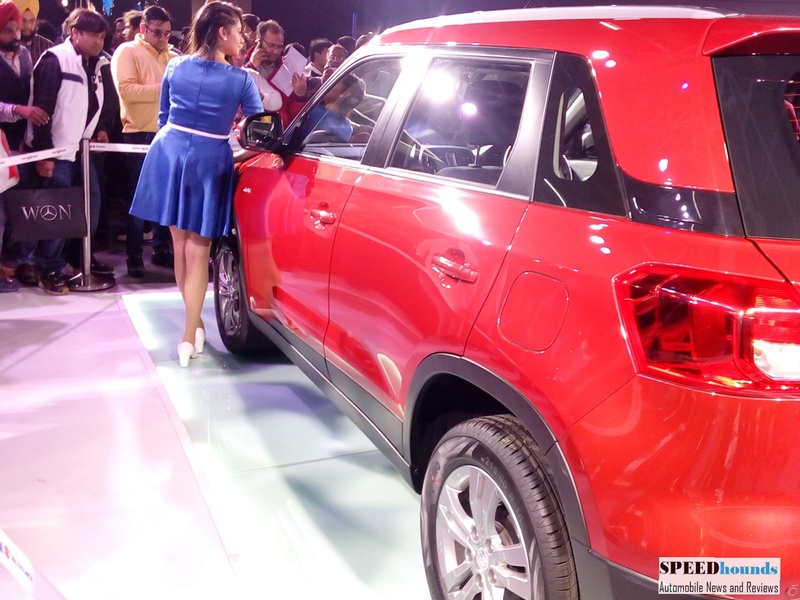 Powering the Vitara Brezza is the already tried and tested 1.3-liter DDiS diesel four-cylinder engine capable of 90 PS at 4,000 rpm and 200 Nm of torque at 1,750 rpm, mated to a 5-speed manual transmission. A petrol engine is speculated to launch later. On the outside it gets a tapered roof line, vertical slated grille, integrated LED day time running lamps, projector headlamps, body cladding, skid plates and multi spoke alloy wheels. It’s the first vehicle in India to comply with offset and side impact crash tests. 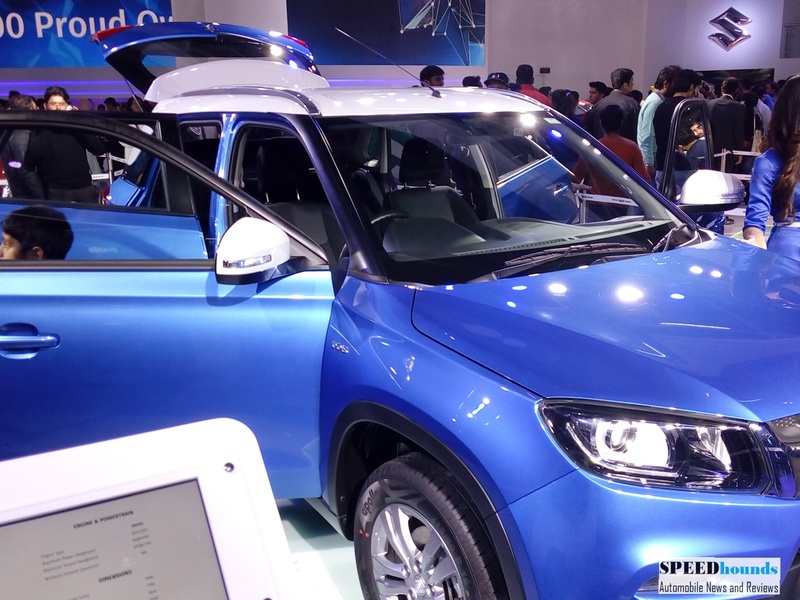 The Vitara Brezza gets dual colored treatment for the interiors, with silver accents around the center console which has a piano black finish. A touch screen SmartPlay infotainment system with navigation, rear parking display and voice commands has been carried over from the Baleno hatchback. Other Feature include multi-function steering wheel with audio controls, twin glove box, center console armrest, automatic climate control, engine start/stop button, electrically adjustable and fold-able ORVM, illuminated vanity mirror, rear accessory socket, boot lamp, mood lamps with color options. In terms of safety all the variants will be equipped with driver airbags as a standard feature. ABS with EBD, dual airbags will be available in higher variants. 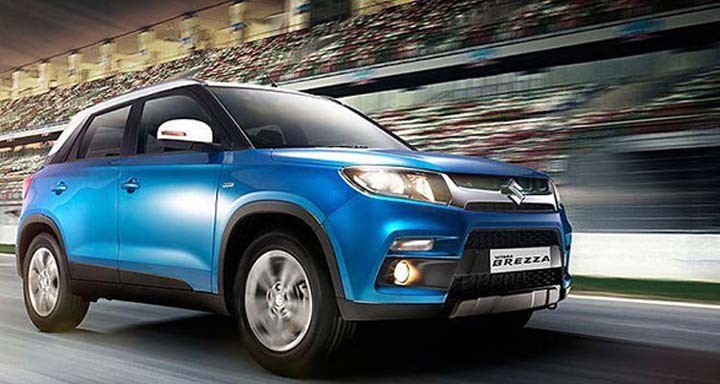 Vitara Brezza is the first vehicle in India to comply with offset and side impact crash tests.